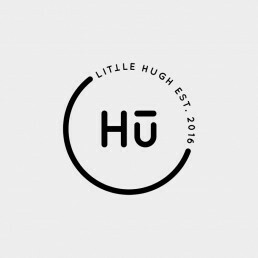 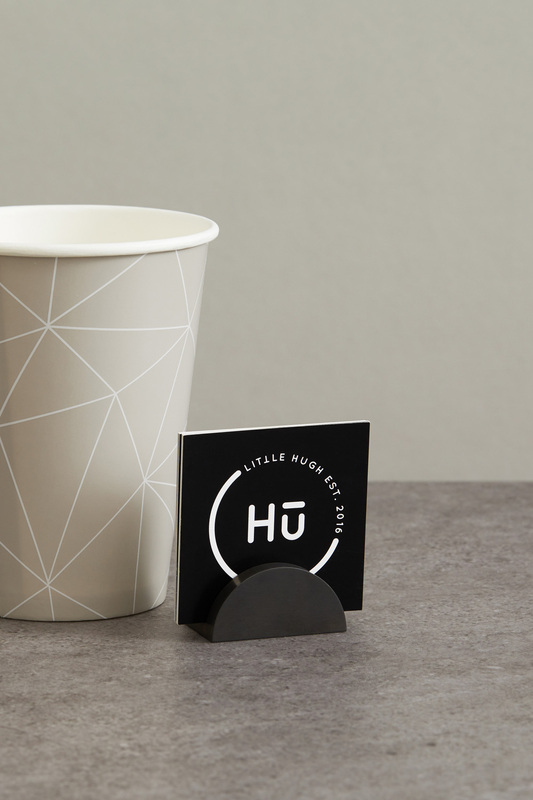 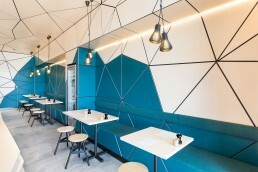 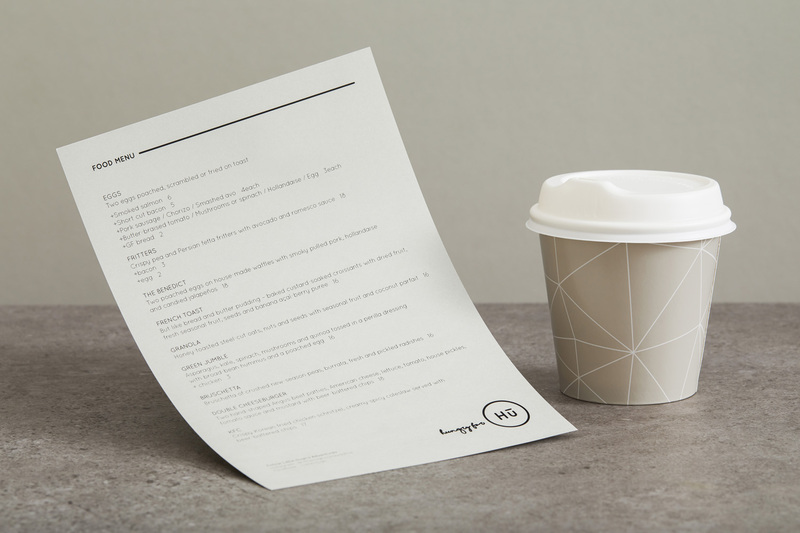 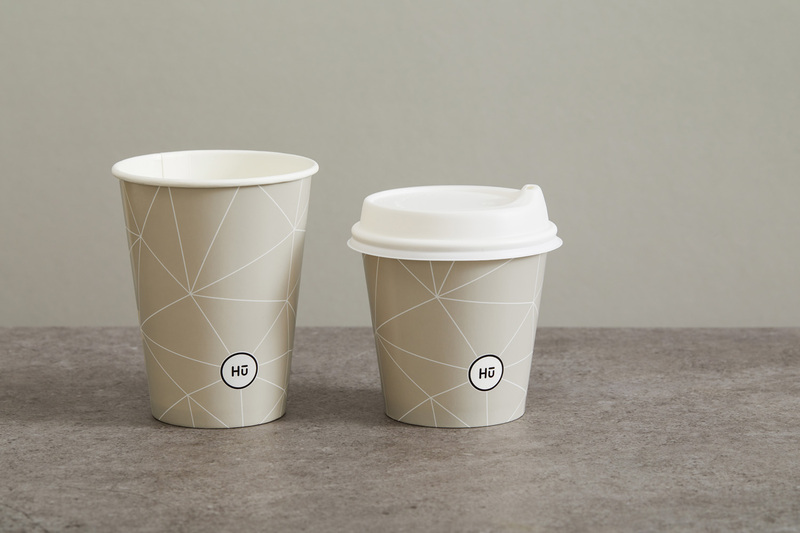 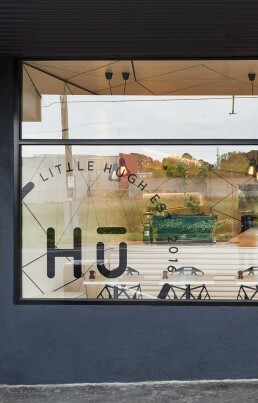 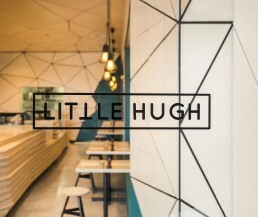 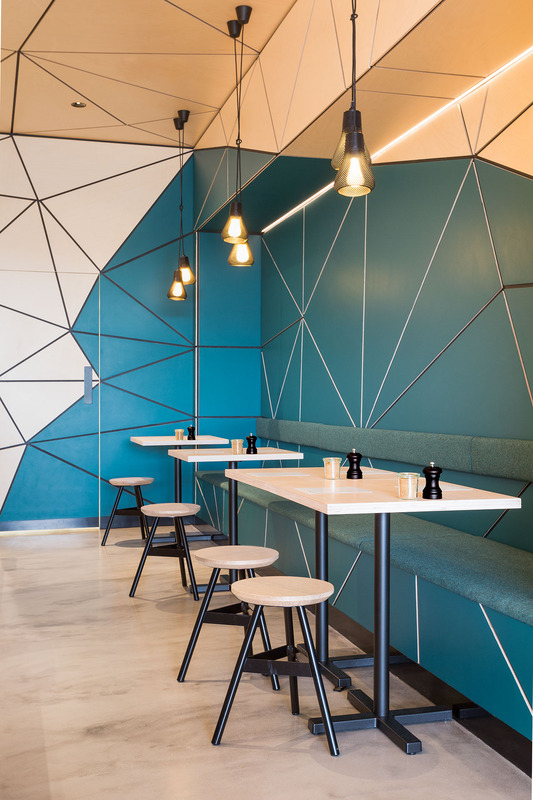 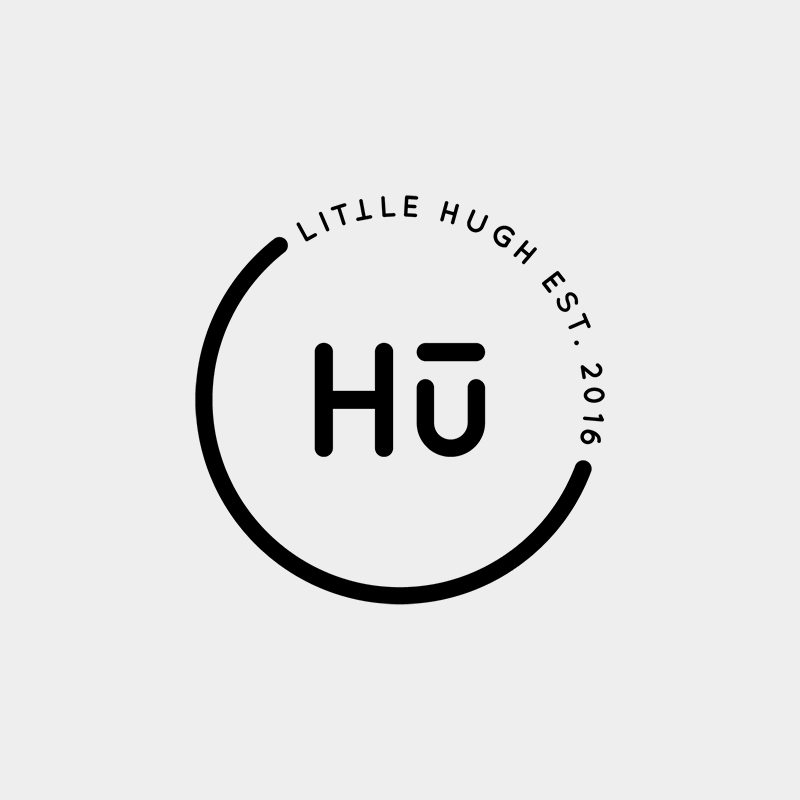 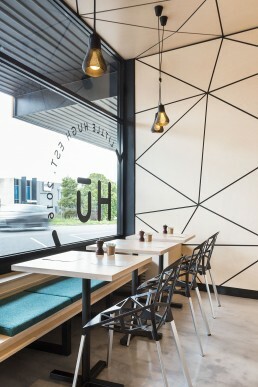 An unassuming shopfront in Melbourne’s outer eastern suburbs plays host to this compact cafe with a sleek minimalist fitout. 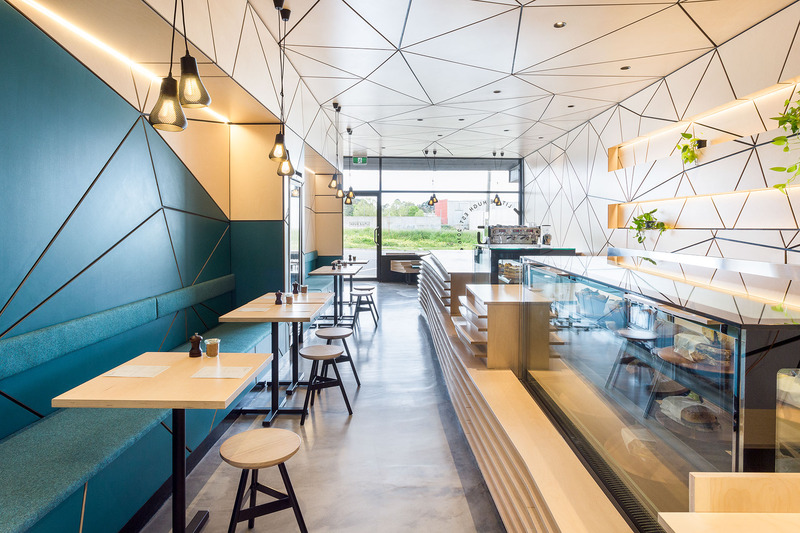 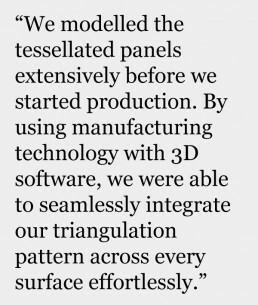 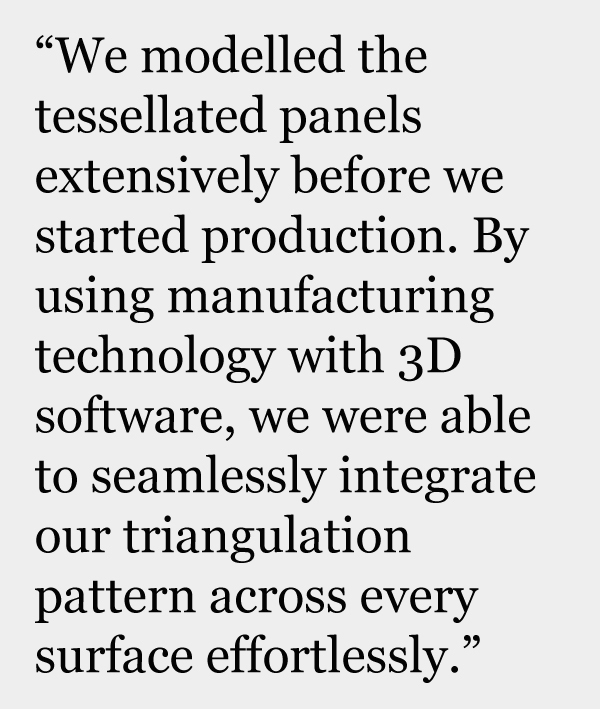 Inspired by the neighbourhood’s industrial character, we experimented with computational geometry to develop a complex array of tessellated panels that wraps up the walls and across the ceiling. 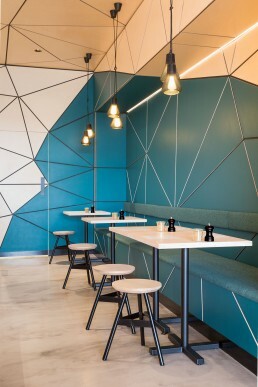 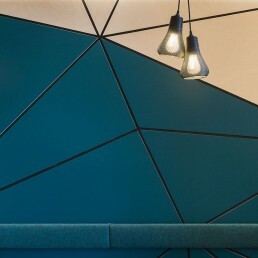 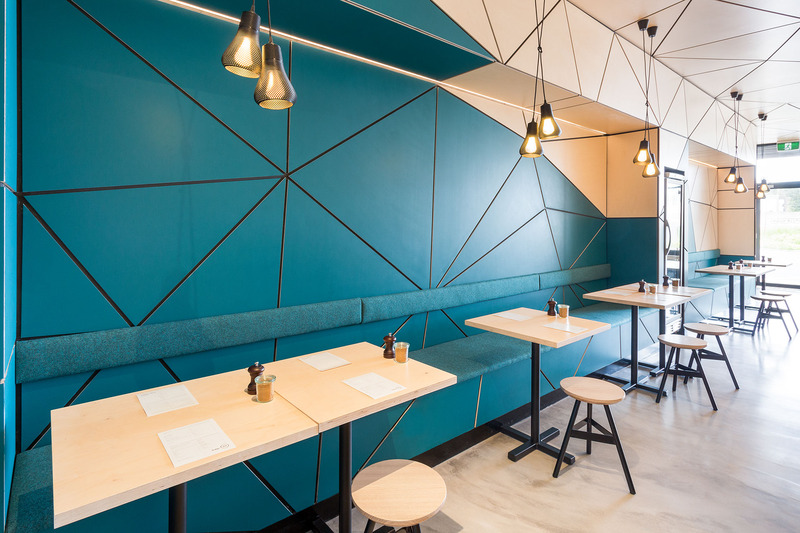 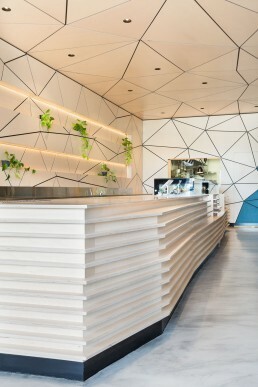 Materially, the fitout combines pale timber with a rich teal paint. 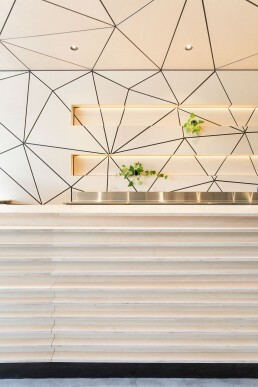 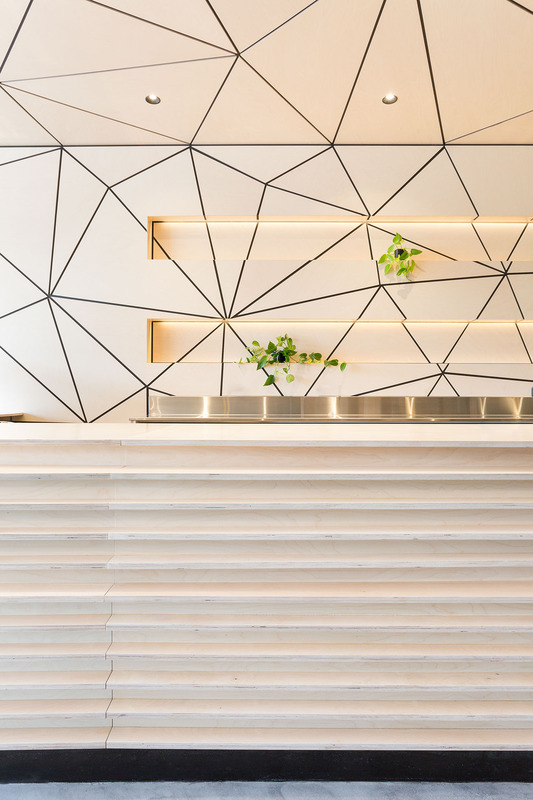 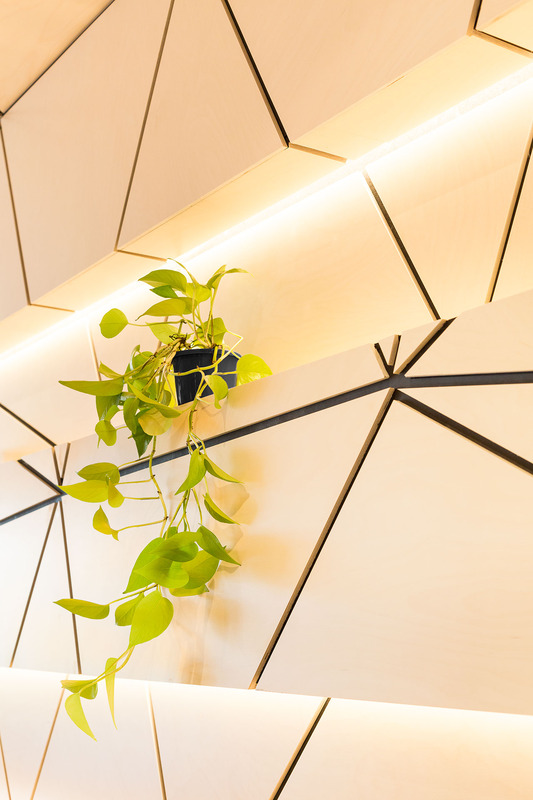 The centrepiece of the 110m2 fitout is the L-shaped service counter which captures the same facets and angularity of the walls. 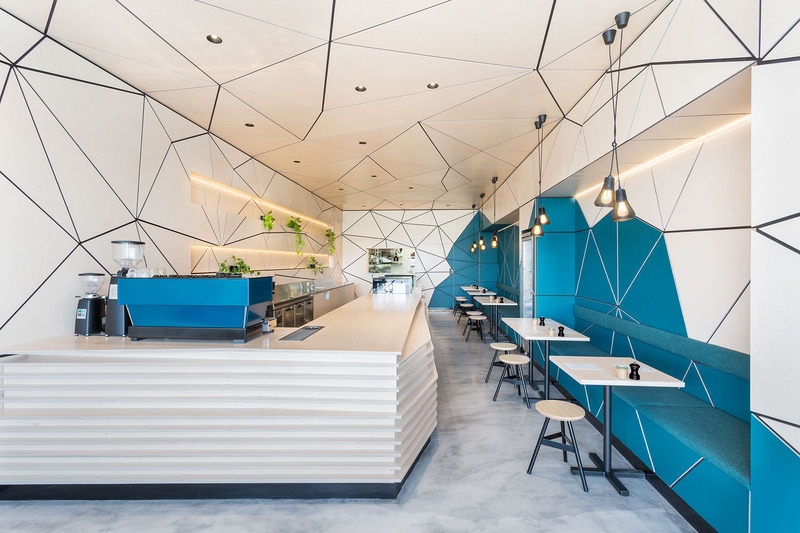 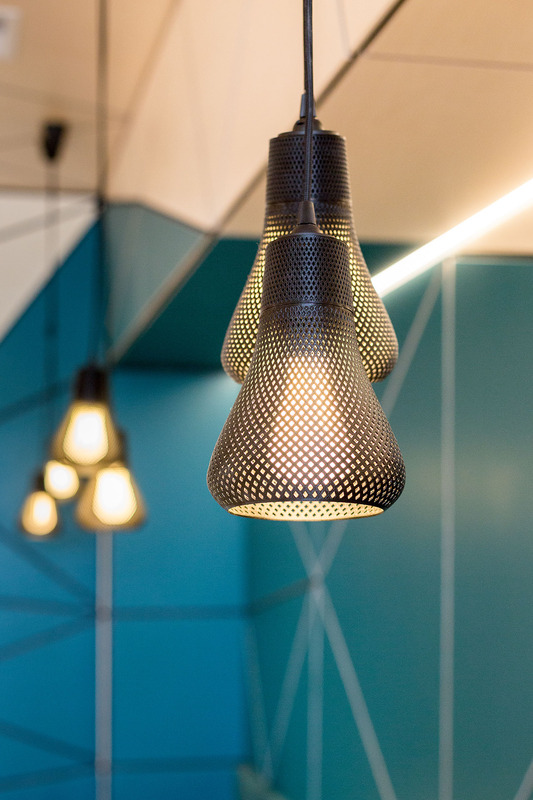 Opposite the counter, cosy dining pods have been inset into the walls while, overhead, pairs of 3D-printed Kayan pendants from Plumen pick up on the theme of experimental production.